Hi loves! How are you today? The second heatwave has started here today.. I want a regular 25 degrees Celsius all summer please! Not this 15 vs. 35 degrees that has been going on lately. 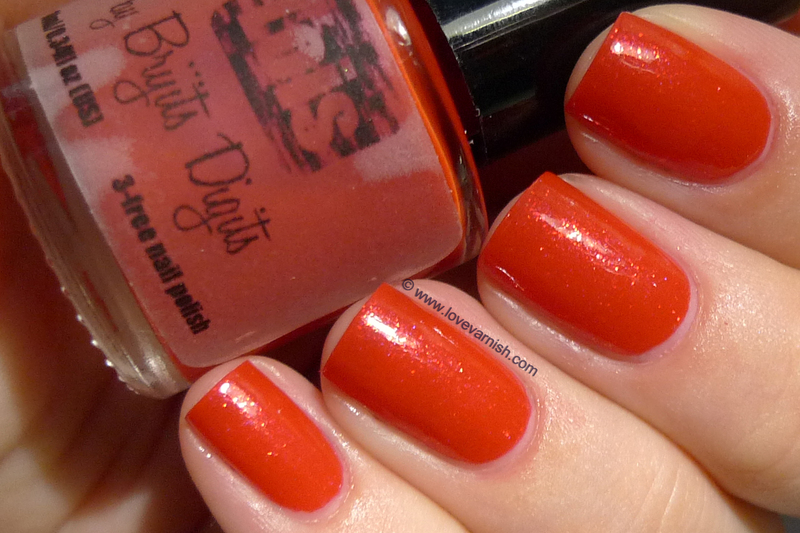 Today I have for you 2 shades from a new indie brand, Brijit's Digits. This is an indie coming from France and created by (surprise surprise!) Brijit :-). She contacted me on Facebook offering to send some polishes for me to review so here they are! All Brijit's Digits shades are 3 free and handmade. They come in 10ml. bottles with 2 mixing beads and the brush is a small flat one. I like it, it spreads nicely without fanning out too wide. 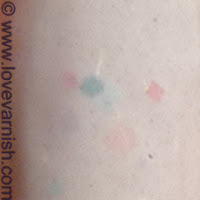 The shades she sent me are Lois (a red crelly filled with lovely shimmer and sparkle) and Boy Meets Girl (a white base with a hint of shimmer and matte pastel glitter). I especially loved Lois but let's start with the white one first. 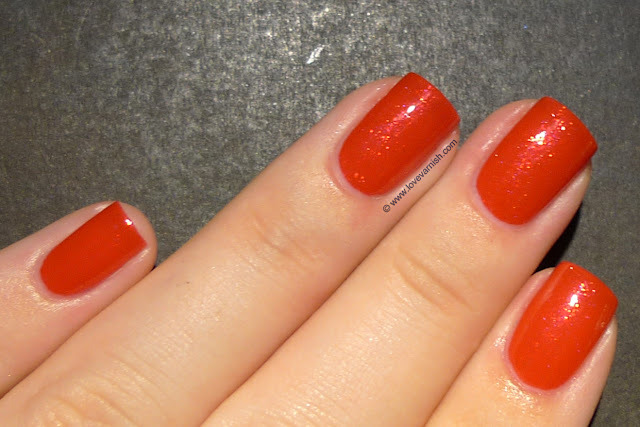 Boy Meets Girl - 3 coats, Duri Rejuvacote as a base and Essence BTGTS as a topcoat. It applied quite easy and even, especially for a white. I think the shimmer (hard to capture) helps with that. I didn't do anything special for the glitter and I do think the payoff could have been a little bit better. The bump you might see on my INSERT FINGER was not because of application issue. You just SHOULD NOT bump your nail right before applying topcoat. It doesn't make the polish prettier. Lois - 3 coats, Duri Rejuvacote as a base and Essence BTGTS as a topcoat. This applied heavenly. Yes, I needed 3 coats, but they were all even, buttery and playing nice. 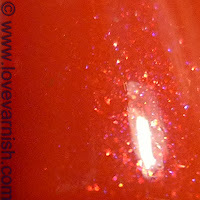 It dries slightly matte (or more like a rubbery finish) so topcoat helps bring out the sparkle. The red is a bit orange toned and makes for a gorgeous summery shade - the shimmer and sparkle doesn't show up in every angle but when it does it's breathtaking! I enjoyed both shades but absolutely LOVED Lois! Which one is your favorite? Brijit's Digits is on Facebook and Etsy. She ships worldwide (with the exclusion of a few countries). 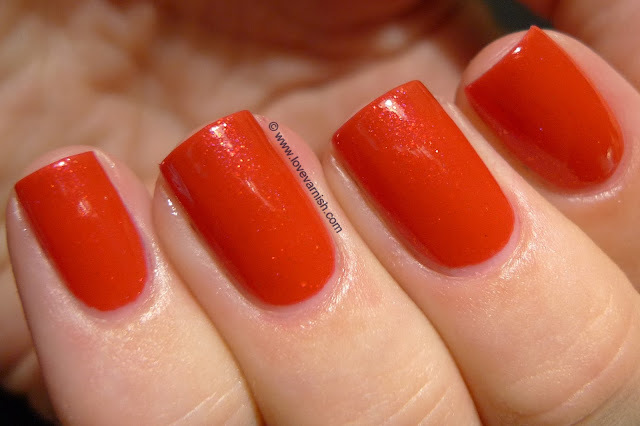 The average price of a polish is around $10 - $12. Thanks so much, you're so sweet :). Thank you for the samples Brijit! Glad you like the pictures :).